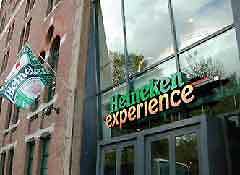 The Heineken Experience documents the history of Heineken in detail and gives a fascinating insight into how the beer is brewed, with a tour that covers the complete brewing process. 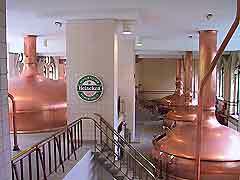 The original brewery, which stood on this site since the 16th century, was purchased by Gerard Adriaan Heineken in 1867 and Heineken beer was brewed here until 1988. 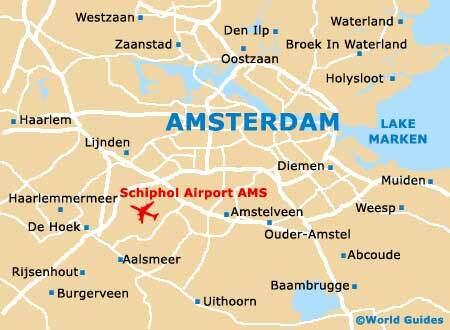 Nowadays Heineken is exported throughout the world and it is probably the world's best-known brand of Dutch beer. The informative tour ends in the Brewhouse Bar where a very convivial atmosphere soon develops as each visitor is treated to several glasses of beer for 'tasting'. There is also a gift shop where Heineken-related souvenirs can be purchased.